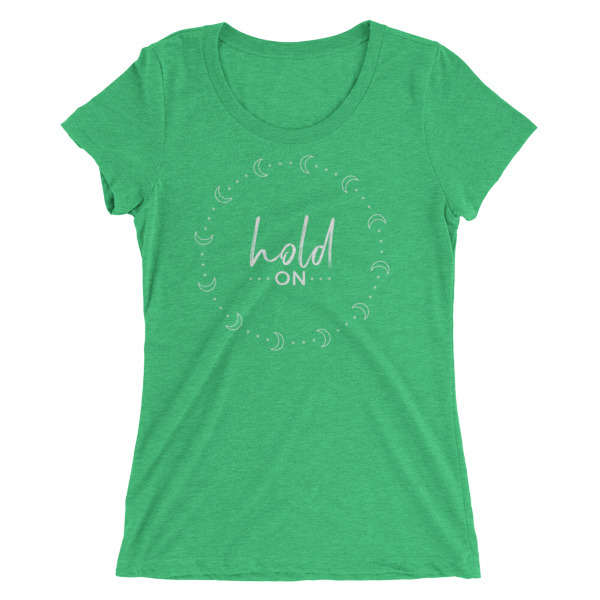 HOLD ON: If you’re hurting and don’t think you can take anymore, please hold on. You will get through this pain, even if it doesn’t seem like it right now. A super soft form-fitting t-shirt with a slightly lower neckline than a classic tee. Comes in heathered colors for a stylish, textured look. Tri-blend fabric ensures durability, comfort, and breathability. Runs small – size up to ensure a good fit.